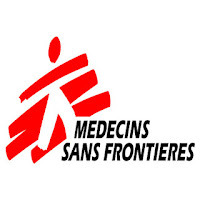 Description: Médecins Sans Frontières (MSF) is an international, independent, medical humanitarian organisation that delivers emergency aid to people affected by armed conflict, epidemics, natural disasters and exclusion from healthcare. MSF offers assistance to people based on need, irrespective of race, religion, gender or political affiliation. MSF is therefore guided by the principles of neutrality and impartiality. These principles must apply to all MSF staff. Defining, coordinating and monitoring all pharmacy related activities in the project area including manage-ment of staff, according to MSF protocols, standards and procedures and the mission’s pharmacist and Medical Coordinator’s guidelines, in order to ensure the proper management and supply of drugs and medical devices. English (fluent, oral & written). Swahili is an asset. Analytical and fast in problem solving in matters medical item management i.e. providing alternatives in expiries, shortages, overconsumptions and overstock. Good communicator and able to motivate his team to work well within the specified deadlines. Flexible and adaptableto multiple pharmacy related tasks assigned as per the need. Ability to identify inconsistencies in processes & procedures& offer solutions related to pharmacy mngt in general. Responsible & self-driven with a solution-oriented approach. Participating actively in the definition and update of the annual planning and budgets of the pharmacy activities in the project. Supervising the functioning and organization of the project central pharmacy and other peripheral units, setting the protocols and procedures to be followed by all staff in order to ensure the quality of the service provided to the population, including pharmacovigilance in case of need. Analysing rational drug use and prescription practices. Giving support in the ordering and supply process of medicines and medical devices. Monitoring correct stock management across pharmacies within project area, to guarantee a good control and up to date data of stock levels and avoid expiries, overstocks and stock outs. Reporting on drug consumptions and medical devices dispensed according to protocols, informing on unusual patterns. Ensuring, in cooperation with the project logistic manager, proper maintenance of cold chain and storage conditions (e.g. humidity, temperature, light exposure, cleanliness, pest and rodents control, etc. ), and that classification and organization of medicines and medical material meet MSF protocols. Supervising, coaching, motivating and evaluating all the pharmacy staff under his/her responsibility, in order to ensure the strict respect for working procedures and protocols. Planning and supervising, in close coordination with the HR department, the associated processes (recruitment, training/induction, evaluation, potential detection, development and communication) of the staff under his/her responsibility in order to ensure both the sizing and the amount of knowledge required. 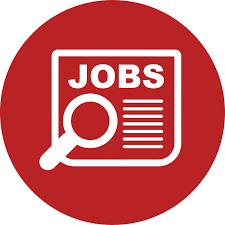 The applications can also be dropped at MSF offices situated at Hamza Aziz Street, Kahama Court, Masaki, Dar es Salaam OR in Nduta Camp, Kibondo District. Only short-listed candidates will be invited for test and interview.